This article is about the theme. 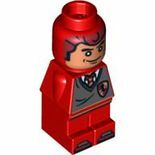 For the minifigure, see Harry Potter (minifigure). Harry Potter was a licensed theme based on the Harry Potter movies produced by Warner Brothers (which are, in turn, based on a series of books of the same name by J.K. Rowling). The theme was introduced in 2001, as one of The LEGO Group's first major licenses, and initially ran until 2005. The theme skipped 2006 entirely, and returned with a single set in 2007. It then returned in 2010, and ran until 2012. The theme will be renewed in 2018. The story of the theme revolves around Harry Potter, a young wizard, whose parents were murdered by Lord Voldemort, the greatest dark sorcerer of all time. Each movie in the series has a specific subtheme (although the two Deathly Hallows films are condensed into one subtheme), with Harry Potter and the Order of the Phoenix and Harry Potter and the Half-Blood Prince being the smallest, at only one set each (although several other sets include elements from the films). 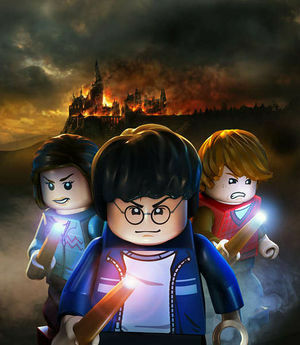 In total, four video games based on the theme have been released: LEGO Creator: Harry Potter, LEGO Creator: Harry Potter and the Chamber of Secrets, LEGO Harry Potter: Years 1-4, and LEGO Harry Potter: Years 5-7. The original years of the theme were quite different from what it was to become later on. The first wave of sets focused almost exclusively on various locations in and around Hogwarts Castle, with the only exceptions being 4723 Diagon Alley Shops, and 4708 Hogwarts Express. At this point in time, the colour scheme of Hogwarts was very different from the iconic current scheme, and featured light grey and black walls. However, certain features were similar, with Sand Green roof parts, and some Tan wall areas. There were some notable exceptions from this early scheme, however, such as 4722 Gryffindor House, which featured almost entirely orange architecture. 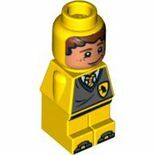 The minifigures of the early years were all yellow-skinned, with the sole exceptions of Professor Snape, who's head glowed in the dark, and Peeves, who was light grey. The theme's second year focused primarily on the second film, Harry Potter and the Chamber of Secrets. The year moved away from the Hogwarts theme of the previous year, featuring such disparate sets as 4728 Escape from Privet Drive, 4727 Aragog in the Dark Forest, and 4720 Knockturn Alley. There were still quite a few Hogwarts related sets, but considerably less than seen previously. Such sets as 4729 Dumbledore's Office and 4731 Dobby's Release began to change the castle's colour scheme to what is now recognized as the classic cour scheme for the castle, featuring tan and sand green heavily. In 2004, sets based on Harry Potter and the Prisoner of Azkaban were released. 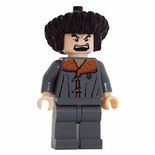 This year, the minifigures of the theme were revamped. Many of theme were the same as those released previously, but all of them were given flesh-toned skin, with the exception Snape, who was still fluorescent. 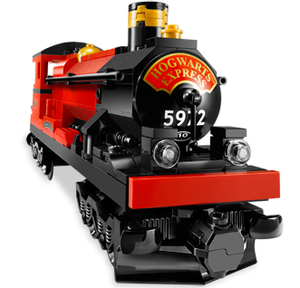 Several sets were remade this year, 4758 Hogwarts Express, 4757 Hogwarts Castle, and 4754 Hagrid's Hut, all of which had been released as separate sets in years previous. 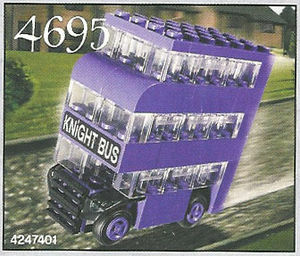 Notably, this year also saw the release of the theme's first mini set, 4695 Mini Knight Bus. Harry Potter and the Goblet of Fire, released in 2005, featured only four sets, each one based on one of the three Triwizard Tournament tasks, with the exception of 4768 The Durmstrang Ship. The sets based on the tasks are 4767 Harry and the Hungarian Horntail, based on the first task, 4762 Rescue from the Merpeople, based on the second, and 4766 Graveyard Duel, based on Harry's battle with Voldemort at the conclusion of the third task. No sets were released in 2006, and only one, based on Harry Potter and the Order of the Phoenix, was released in 2007. 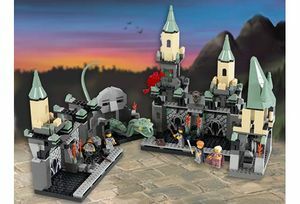 This set, another remake of Hogwarts Castle, (notable primarily for the pink office of Dolores Umbridge, and the inclusion of the Greenhouse) was the last set in the theme to be released until 2010. In 2010, the Harry Potter theme returned, with a set based on Harry Potter and the Half-Blood Prince. 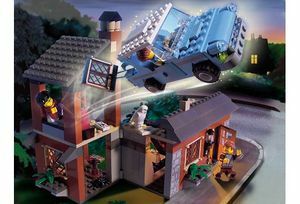 The only new set to be released in that year that was not a remake was 4840 The Burrow, which included a model of the Weasley's house, The Burrow. All minifigures released in this year were completely redesigned, and featured considerably more detail than any in the theme before. 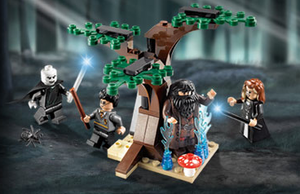 2011, the final full year of the theme, featured the release of a few sets under the new Harry Potter and the Deathly Hallows subtheme, as well as several subtheme-less promotional sets, of which the correct branding can only be guessed at. Many plot-relevant locations from the Harry Potter novels and films were turned into sets, the most notable of which are listed here. Hogwarts, the wizarding school Harry Potter attends, is the main source for sets in the Harry Potter theme. At least twenty individual sets have been dedicated to recreating the school's classrooms, rooms, and the castle as a whole. The model of the castle itself has been remade five times, more than any other set. 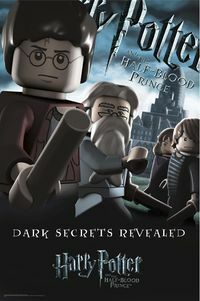 It is also the basis of the LEGO Game 3862 Harry Potter Hogwarts. Diagon Alley is a entirely-magical street hidden in London, whcih features various wizard shops. Four sets have been made based on the street; 4723 Diagon Alley Shops, 4714 Gringotts Bank, 4719 Quality Quidditch Supplies, and, most notable, 10217 Diagon Alley released in 2011. 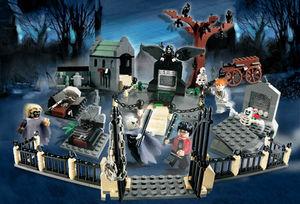 10217 is, at 2012 pieces, by far the largest set in the theme. Another notable story location is the Hogwarts Express, represented by four sets. The first one included platform 9¾, the hidden platform in Kings Cross Station from which the train can be boarded, while the two following sets from 2004 contained different renditions of Hogsmeade station. A final Hogwarts Express model was released in 2010 as 4841 Hogwarts Express, and included a Flying Ford Anglia instead of a station. Other notable locations of the magical world include The Burrow, Knockturn Alley, and the Shrieking Shack. The only places built by Muggles (non-magic persons) released in LEGO form are the house of the Dursley family, and the graveyard in Little Hangleton. 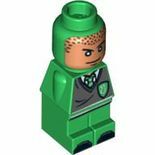 The design manager of the LEGO Harry Potter team is Henrik Saaby, who is based in Billund, Denmark. The influences when designing the sets are the movies and books, along with other reference material from Warner Bros. New minifigure pieces are hand-sculpted in modeling clay at a ratio of 1:3. The prototype is then digitally scanned. From this image, the mould for the plastic pieces is made. The Harry Potter films revolve around Harry Potter, an orphan who lived with his aunt Petunia, uncle Vernon and cousin Dudley at No. 4 Privet Drive. He is, on his eleventh birthday, told by Rubeus Hagrid (groundskeeper of Hogwarts School of Witchcraft and Wizardry) that he is a wizard and that his parents were killed by the dark lord Voldemort. From there, he travels on the Hogwarts Express from platform 9 & 3/4 to Hogwarts Castle. 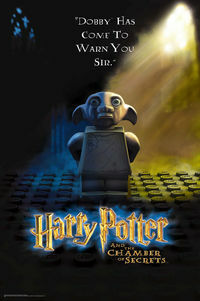 In his first year, Harry and new friends Ron Weasley and Hermione Granger discover the secret of the Philosopher's stone and Harry finishes term with a one to one show down with Professor Quirrel who is harbouring the dark lord Voldemort, in an attempt to steal the stone and gain eternal life. The stone is then destroyed by Professor Dumbledore, who rescues Harry. In his second year, Harry is visited by the house elf Dobby, who tells him not to go back to Hogwarts and then ruins the Dursley's dinner party, resulting in them locking Harry into his room. The Weasleys then rescue Harry in a flying Ford Anglia and take him to the Burrow, their house. Harry and Ron then fly to school, after Dobby blocks their entrance to the platform, and crash into the Womping Willow (a vicious tree on the Hogwarts grounds), breaking Ron's wand. At school, the Chamber of Secrets, a dungeon hidden beneath the school, has been opened, releasing a Basilisk. Hermione is then petrified by the beast, and Hagrid is implicated for opening the chamber. He is arrested, and thrown into Azkaban prison. Harry and Ron have to trek into the Dark forest to visit Aragog, a giant spider (and former pet of Hagrid). They then discover the whereabouts of the Chamber after Ginny Weasley is taken into it. There Harry defeats Tom Riddle, who possessed Ginny and forced her to open the Chamber. The Basilisk is destroyed, with the help of Fawkes and the Sorting Hat. With Hagrid's name cleared, he is released from Azkaban. In the third film, Harry runs away from Privet Drive after blowing up Marjorie Dursley, his aunt. He then takes the Knight Bus to Diagon Alley, and learns that a notorious criminal, Sirius Black, has escaped from Azkaban. At Hogwarts Harry meets his father's old friend Remus Lupin, who has taken a position at Hogwarts as Defense Against the Dark Arts Teacher. Draco Malfoy is attacked by Hagrid's hippogriff Buckbeak, who is then set to be executed. On the day of the execution Harry, Ron and Hermione find Sirius Black in the Shrieking Shack (a supposedly haunted house near the castle). Remus Lupin arrives, and stops Harry from killing Black. Sirius is revealed to be Harry's godfather, and to have been framed for his crimes by Peter Pettigrew, who sold out Harry's parents to Voldemort. Lupin is revealed to be a werewolf, and accidentally trasnforms, letting Pettigrew escape. Harry and Sirius are later captured by Dementors. Harry and Hermione then go back in time using Hermiones time turner (a device she was given so that she could attend multiple classes at a time) to rescue Buckbeak and later Sirius. Harry saves his earlier self from the Dementors by use of a patronus stag. In Harry's fourth year, the trio visit the Quidditch World Cup, which is attacked by Death Eaters who perform the dark mark spell- signalling the return of Voldemort. At Hogwarts Harry is, through unknown means, entered into the Triwizard Tournament- an extremely danderous contest between three wizard schools. The first of the three tasks is the Dragon task, where Harry went head to head with a Hungarian Horntail in an attempt to retrieve an egg. In the second task, Harry rescues Ron in the Great Lake from the Merpeople. At the end of the third task (a large maze), Harry and Cedric Diggory are transported to a graveyard, in which Diggory is killed and Harry's blood is used to resurrect Lord Voldemort. After a duel with the Dark Lord, Harry returns to Hogwarts and learns that he was entered into the tournament by Mad-Eye Moody - actually the Death Eater Barty Crouch Jr. in disguise. In Harry's fifth year, the wizarding government - known as the Ministry of Magic - refuses to believe that Lord Voldemort has returned, and a smear campaign is launched by the Minister for Magic against Harry and Dumbledore. 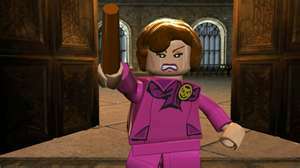 This includes the appointment of Dolores Umbridge as Defense Against the Dark Arts teacher, to teach the children only theoretical defense (due to Fudge's fear of Dumbledore putting together an army to depose of him), as well as firing any teachers deemed unsatisfactory by the Ministry. Meanwhile, Harry is plagued by dreams and visions as if he was looking through Voldemort's eyes, which leads to a battle in the Department of Mystery (in the Ministry) between Harry and his friends and Voldemort's Death Eaters, the death of Sirius Black caused by Bellatrix Lestrange, a climatic duel between Voldemort and Dumbledore, and the revelation to the rest of the wizarding world that Voldemort had indeed returned. During the sixth year, Dumbledore gives Harry private lessons in which they delve into the memories of those who interacted with Voldemort - or, as he was known in his youth, Tom Riddle. At the same time, Harry excels in Potions class thanks to the helpful margin notes of his new textbook's previous owner: the mysterious "Half-Blood Prince". Harry learns from the memory of Potions master Horace Slughorn that Riddle was interested in creating Horcruxes - objects in which he hid portions of his soul in order to become immortal. Dumbledore and Harry travel to a cave and battle Inferi (corpses reanimated by magic) to attain a locket they believe is a Horcruxe, with the purpose of destroying it. They return to Hogwarts, and Dumbledore is murdered atop the astronomy tower by Severus Snape (who performed the killing in Draco Malfoy's stead, who had been ordered by Voldemort to do so). Following Dumbledore's death, Harry learns that the locket they obtained is a fake, with the real Horcrux hidden elsewhere. During Harry's seventh year, he, Ron, and Hermione embark on a quest to obtain and destroy Voldemort's remaining horcruxes. Following the wedding of Bill Weasley and Fleur Delacour, the trio infiltrate the Ministry and retrieve the real locket, which was in the hands of Dolores Umbridge at the Voldemort-controlled Ministry of Magic. They camp for days while trying to find the other horcruxes (as well as a means to destroy the one they posses), and Ron leaves in frustration. Harry gets the Sword of Gryffindor from the bottom of a pond, and destroys the locket with the help of Ron, who returned. The group travels the Xenophilius Lovegood's house, where they are ambushed and taken to Malfoy Manor. They are rescued by Dobby, and plot a break-in to Lestrange's vault at Gringotts to find the next horcrux. They do so, and travel to Hogwarts to find the next one. A battle between Voldemort's forces and the defenders of Hogwarts commences, and the horcrux hidden at Hogwarts is destroyed by Fiendfyre. Harry learns from the memories of Snape (who was killed by Voledmort) that he must die in order for Voldemort to be destroyed, and so he sacrifices himself, but survives due to his blood connection with Voldemort. Harry duels Voldemort, but as the Elder Wand (wielded by Voldemort) cannot harm its true master (Harry), the killing curse backfires on Voldemort, and peace is restored to the wizarding world. 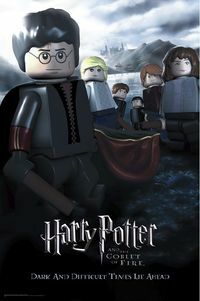 In 2001, the Harry Potter books were adapted to films, and LEGO partnered up with Warner Brothers and produced sets released alongside the movies, under the Harry Potter license. 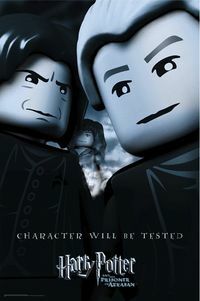 Many sets were released for the first and second films during the theme's first few years, featuring minifigures with yellow skin. 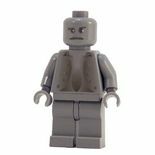 When the third film was released, the minifigures were changed to the more realistic flesh tones now seen in all licensed themes. Gradually, less and less Harry Potter sets were released each year, with only four released for the fourth film in 2005, and only one to accompany the fifth movie in 2007. 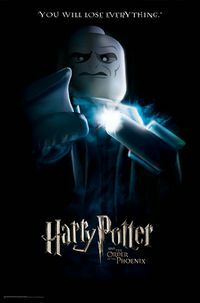 Despite impressions that the theme had ended, due to the sixth movie garnering no LEGO releases, a trailer for a video game known as LEGO Harry Potter: Years 1-4 was unveiled in 2009, and, in October of 2010, Harry Potter sets for unspecified subthemes were released alongside the game. Also released at this time was the only official set for the sixth film. In 2011, three more normal sets (along with two promotional sets) were released for the seventh film in the franchise, Harry Potter and the Deathly Hallows. These were followed by a sticker book, an ultimate sticker collection, and a complete visual guide of the theme called Building the Magical World. 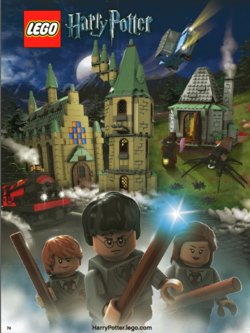 A second video game featuring the last four installments of the franchise, known as LEGO Harry Potter: Years 5-7 was released on November 11, 2011, and in 2012, what would appear to be the final entry in the theme, the book LEGO Harry Potter: Characters of the Magical World was released. Overall, from 2001 to 2011, there have been (not counting Promotional sets, magnets, or keychains) 50 sets produced in the Harry Potter theme. 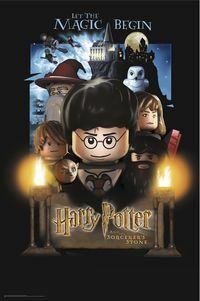 Harry Potter and the Philosopher's Stone (or Harry Potter and The Sorcerer's Stone in The United States of America and India) is the first novel in the Harry Potter series, and was adapted into a movie and LEGO theme in 2001. Harry is in his first year at Hogwarts and makes friends with Ron Weasley and Hermione Granger. Harry begins playing Quidditch, and starts a feud with Draco Malfoy. Harry is convinced that Professor Snape is trying to get the Philosopher's stone, and working against Harry, but he actually is trying to help him. 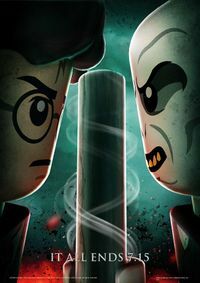 Harry makes it through five challenges that guard the stone before coming head-to-head with Professor Quirrel, who is partly possessed by Lord Voldemort. Harry survives, and is rescued by Professor Dumbledore. Harry Potter and the Chamber of Secrets is the second film in the Harry Potter series, and was released with a corresponding wave of sets in 2002. The plot follows Harry's second year at Hogwarts School of Witchcraft and Wizardry, during which a series of messages on the walls on the school's corridors warn that the "Chamber of Secrets" has been opened and that the "heir of Slytherin" will kill all pupils who do not come from purely-magical families. These threats are followed by attacks which leave residents of the school "petrified". Throughout the year, Harry and his best friends Ron Weasley and Hermione Granger investigate the attacks. Harry is confronted by Lord Voldemort as a kid, who is attempting to regain full power. Harry starts off his third year by accidentally blowing up his Aunt Marge, but is personally absolved by the Minister of Magic himself. He then learns that mass murderer Sirius Black is intent on killing him. As he heads back to school armed with this knowledge, he learns that Dementors, evil, soul-sucking creatures, have been stationed around Hogwarts for protection against Black, and have a terrible effect on him. He finds a willing teacher in Professor Lupin, the new Defense Against the Dark Arts professor, who begins teaching Harry the Patronus Charm, which is the only spell that will work against the foul creatures. It turns out that Black was not the murderer, but rather Peter Pettigrew, who betrayed Herry's parents to Voldemort. Black is, in fact, Harry's godfather. Harry's fourth year begins with him attending the Quidditch Cup, with Hermione and the Weasleys. However, after the cup ends, Death Eaters attack the surrounding campsites, forcing Harry and his friends to flee into the woods. The Death Eaters are dispersed by the Dark Mark, fired into the sky near where the gang had sheltered; and circumstantial evidence points towards the house-elf servant of Barty Crouch, a Ministy of Magic wizard, being responsible. At Hogwarts, Harry meets the school's new Defense Against the Dark Arts teacher, Alastor "Mad-Eye" Moody. It is revealed by Dumbledore the the Triwizard Tournament, an ancient contest between three wizarding schools, will be held at Hogwarts this year, and that Hogwarts will be competing against the schools of Beaubatons and Durmstrang. Once the delegations from the schools arrive, three are picked by the Goblet of Fire, an "Impartial judge". The Durmstrang champion is Victor Krum, the Beaubatons champion Fleur Delacour, and the Hogwarts champion Cedric Diggory. However, a further champion is chosen by the goblet, a fourth champion, another Hogwarts champion- Harry. Harry competes in the tasks beside Fleur, Victor, and Cedric, and, in the end, chooses to tie with Cedric Diggory for victory. However, the Triwizard Cup they were due to be retrieving instead transported them to a graveyard many miles from Hogwarts. There, Cedric was killed by Wormtail, and Harry's blood used to restore Lord Voldemort to full power once more. Harry barely escaped with his life, but managed to use the Cup to return to Hogwarts. Thee, he was taken aside by an increasingly insane-seeming Mad-Eye Moody, who tried to kill him. He was stopped by several teachers, including Dumbledore. Under the influence of Veritaserum, a truth potion, Moody revealed that he was not, in fact, Alastor Moody, but in reality Barty Crouch Jr., a Death Eater, disguised by Polyjuice potion. He had kidnapped the real Moody, locked him in a trunk, and brought him to Hogwarts to pose as a teacher, enabling him to get close to Harry. He stated that it was he who had cast the Dark Mark into the sky at the Quidditch World Cup, and that it was he who had put Harry's name into the Goblet of Fire, with the express intent of getting him into the Graveyard at the end of the third task, thus ensuring Voldedmort's return. This chapter in the Harry Potter saga features Harry Potter's struggles through his fifth year at Hogwarts School of Witchcraft and Wizardry, including the surreptitious return of Harry's nemesis Lord Voldemort, O.W.L. exams, and an obstructive Ministry of Magic who refuses to believe the Dark Lord ( Voldemort ) has returned. Harry Potter and the Half-Blood Prince is the the 6th novel/movie in the Harry Potter series. It started in 2010 and, although other sets like 4842 Hogwarts Castle and 4841 Hogwarts Express have allusions to this movie, the Burrow is the only official set in this subtheme. 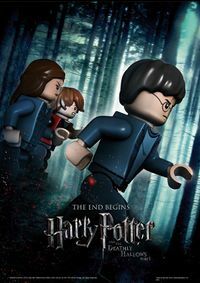 Similar to Deathly Hallows, LEGO has not made a specified subtheme for this film, yet one set is based on it. Harry Potter and the Deathly Hallows is the 7th novel in the Harry Potter series and both the 7th and 8th movie. Voldemort is hunting Harry Potter for power and to kill him, while Harry and his friends, Hermione Granger and Ron Weasley, search for Voldemort's horcruxes to stand a chance at defeating him. Meanwhile, Hogwarts is taken over by Snape where students led by Neville Longbottom, Ginny Weasley, and Luna Lovegood begin a rebellion within the school. 4841 Hogwarts Express - Features movie two, movie five, and movie six. Harry Potter is the second-longest licensed theme to be created, second to Star Wars. The theme was discontinued/retired from 2006-2009 then was restarted in 2010. Professor Dumbledore and Lord Voldemort from this theme have appeared in The LEGO Movie and The LEGO Batman Movie, respectively.